"We are proud to sustain our competitive nature, built upon wisdom, knowledge and experience, without compromising in the quality of our services." Senerji Engineering was founded by Sonay Kale in 2000. Senerji has been regarded as a trusted company due to its loyal, intimate, and professional approach to its customers on equipment sales and turnkey projects since 2000. Besides offering a wide range of electrical products, Senerji has initiated a new level in engineering in Turkey with its competitive and innovative solutions. While providing imported high quality products to local customers, Senerji has also introduced local goods to foreign markets. The ultimate goal of Senerji Engineering is to contribute to the economy of Turkey by keeping the export - import balance profitable. Senerji has multiple partnerships with leading companies around the world; such as the Italian transformer manufacturer SEA, the French neutral resistor manufacturer M.S. Resistances, the French hydropower turbine manufacturer HPP, the Indian insulator manufacturer Aditya Birla and a local medium voltage switch-gear insulator manufacturer OSEL. SEA, a trusted partner since 2003, was established in 1959. 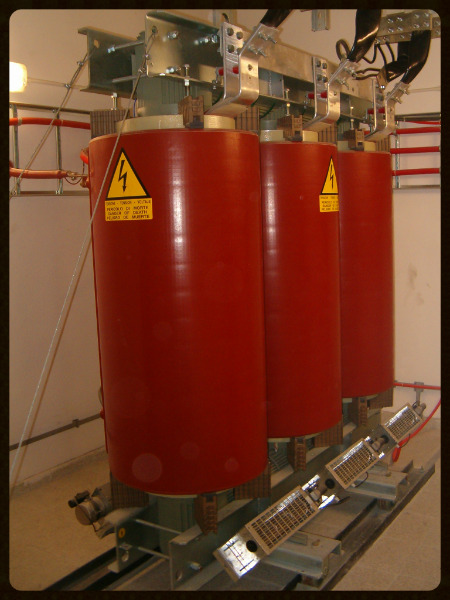 It is one of the leading cast resin transformer manufacturers in the world; possessing the largest factory in Europe in terms of production capacity, in Vicenza, Italy. SEA can produce up to 20 MVA cast resin transformers and up to 100 MVA oil immersed transformers. Today, more than 100.000 SEA transformers are in operation in more than 50 countries. Senerji represents SEA transformers in the Turkish, Middle Eastern, and Caspian Sea regional markets. This partnership has accomplished many projects and sold over 1000 units of SEA cast resin transformers. After 10 successful years, Senerji has induced SEA to become a well-known cast resin transformer in the Middle East and the Caspian Sea regions, and to compete with world giants such as Schneider and ABB. Senerji and M.S. Resistances have been in co-operation since 2000. Located in St. Chamond, France, M.S. Resistances, with its high quality products, is considered as one of the two top neutral resistor manufacturers in the world. Indian insulator manufacturer Aditya Birla and Senerji became partners in 2012. Preferred in 58 countries, Aditya Birla is the 4th biggest insulator manufacturer in the world. Senerji Engineering has been in co-operation with Esitas (current-voltage transformers), Gural (sisconnectors), Elopar-Disas (surge arresters) on project-basis since 2000. Since its foundation, Senerji Engineering has sustained the trust of costumers in the sector with its enthusiasm, preciseness and discipline.